The perfect gift for all of the book reading loved ones in your life! Your gift will be cherished for a lifetime! Beautiful, unique and all original, prints by Joan Wilcox- Glanville. 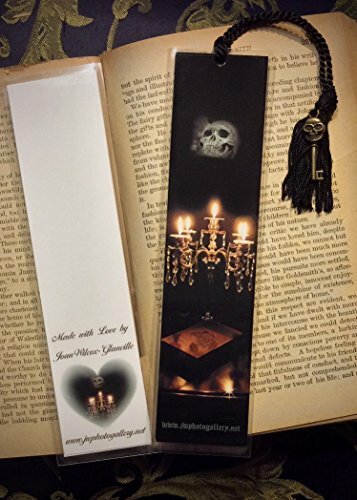 Each bookmark is handmade one by one with fade resistant, high quality thick photography paper doubled! Then it is laminated with a thick 7 mil UV protected laminate, so it's water resistant and very well made to last a lifetime with normal care. They measure approximately 2 inches by 7 inches and comes with your choices of tassel and embellishments. Please see all photos including tassel colors! Please note: Some charms and beads may come in different colors, but will always compliment and coordinate with your tassel and bookmark nicely. Please note everyone's monitor screens are different, so there might be a very slight difference to what you get. They look much better in person than on your screen and you will just love them!! Please see JWPhoto's other Bookmarks... Lots to choose from! If you have any questions about this product by JWPhotography Gallery, contact us by completing and submitting the form below. If you are looking for a specif part number, please include it with your message. Echo Lake in El Dorado, CA - 2D Map (Black Frame/No Glass Front) 11 x 14 IN - Laser carved wood nautical chart and topographic depth map. Three Piece Nautical Nursery Cardstock Prints 8.5 x11 "Little Man Cave"